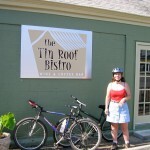 Karen and I have started the day with a bike ride in search of breakfast. 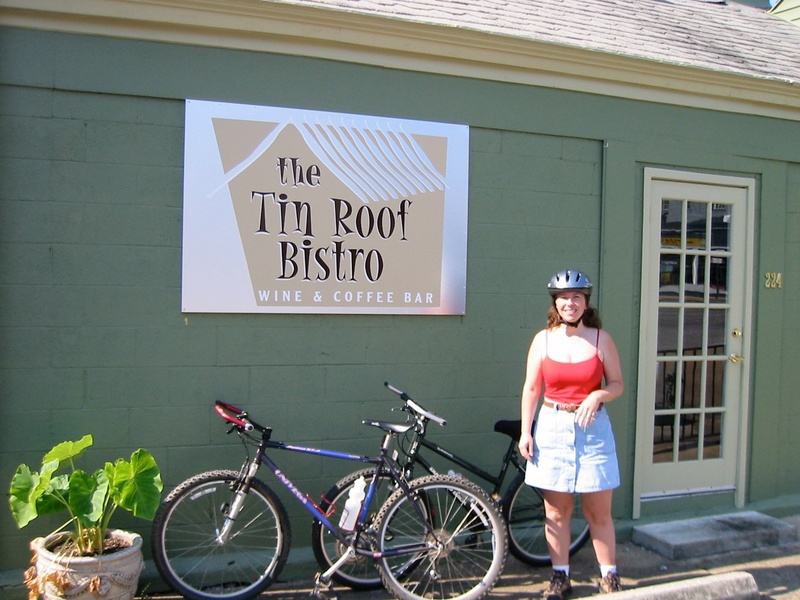 We found “The Tin Roof Bistro” which serves breakfast from 7 AM to 2 PM. And, it has a balcony with a view of the Tennessee River and Walnut Street Bridge. Karen ate her favorite breakfast of grits, but she went up a notch and added a bowl of fruit. I had the waffles with mint butter. Now with carbo-loading done, we headed back to the festival area to check on setup progress. We talked with Mary Kilbride who we were told is in charge. Mary gave us the low down and we were able to pass along some of our ideas for how to improve the festival. This year the festival has a VIP section which provides free food and beer along with special seating over the river.